The reincarnation of the Living Buddha is a succession system, which distinguishes Tibetan Buddhism from other religions or other forms of Buddhism. Based on ancient Tibetan beliefs in the nature of the soul and, the unique incarnation theory of Tibetan Buddhism, it was established to solve the problem of leadership succession in various Tibetan Buddhist sects and monasteries. The term "Living Buddha" emerged in the Yuan Dynasty (1271-1368). It was called sprul-sku in Tibetan, which was the abbreviation of sprul-pavi-sku, meaning "magical change" or "incarnation". In the 13th century, Tibet became an administrative district under the central government of the Yuan Dynasty. Emperor Kublai Khan (1215-1294) honored Phags-pa, head of the Sa-skya-pa Sect, by granting him the title "Buddha of the Western Paradise". Thereafter, eminent Tibetan monks were referred to as "Living Buddhas." 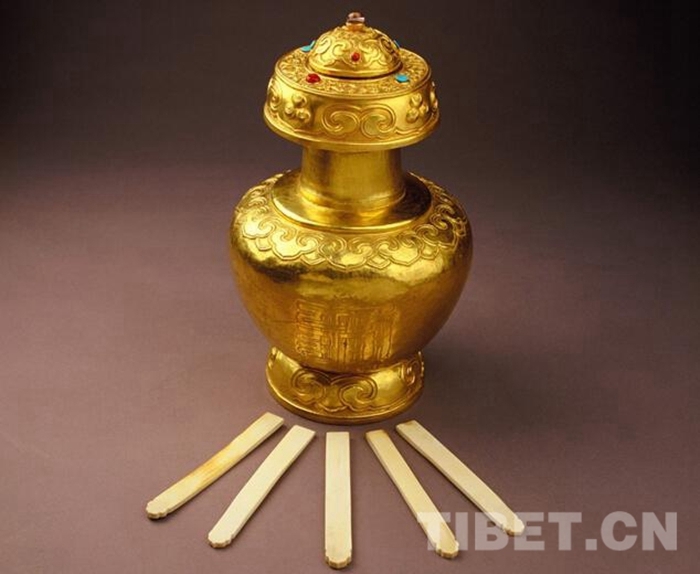 In the mid 13th century, Yuan Emperor Monge Khan (1209-1259) honored Karma-pag-shi, leader of the bKav-brgyud-pa Sect in Tibet, as "State Tutor" and bestowed upon him a gold-rimmed black hat and a gold seal of authority, which helped the bKav-brgyud-pa Sect become a powerful religious sect with great influence. In 1283, Karma-pag-shi passed away. Monks of the bKav-brgyud-pa Sect were not allowed to take wives, nor have children. As a result, leaders of the bKav-brgyud-pa Sect could not pass over the religious power to his blood disciples. To prevent power succession from masters to apprentices, which could lead to the malpractice of each sect establishing its own school of thought and the decentralization of power, Karma-pag-shi decided, prior to his death, to adopt the principle of reincarnation in solving the problem of leadership transmission and continuation in his own sect. His disciples followed his order and located a boy who was determined the reincarnated soul boy of Karma-pag-shi, marking the starting point of the Living Buddha reincarnation system in Tibetan Buddhism. Thereafter, various sects of Tibetan Buddhism reacted to the Living Buddha reincarnation system by creating nearly one thousand similar systems. After several centuries of practice, a relatively complete set of standards and procedures in searching for and confirming the identity of the reincarnated soul boy had taken shape. After the death of a Living Buddha, there are various fixed religious practices and procedures to be followed: making funeral arrangements; displaying his body for the purpose of worship; praying and chanting Sutras; praying for his early rebirth; diving and consulting oracles; observing sacred lakes; searching for reincarnated soul boys within the territory of China; checking them repeatedly; asking them to identify the objects left by their previous incarnation and further testing to confirm the soul boy; having him tonsured and welcoming him into the monastery; conferring upon him a religious title; allowing him to be officially enthroned and so on. Throughout history, central governments of various dynasties paid great attention to the administration over the Living Buddha reincarnation. 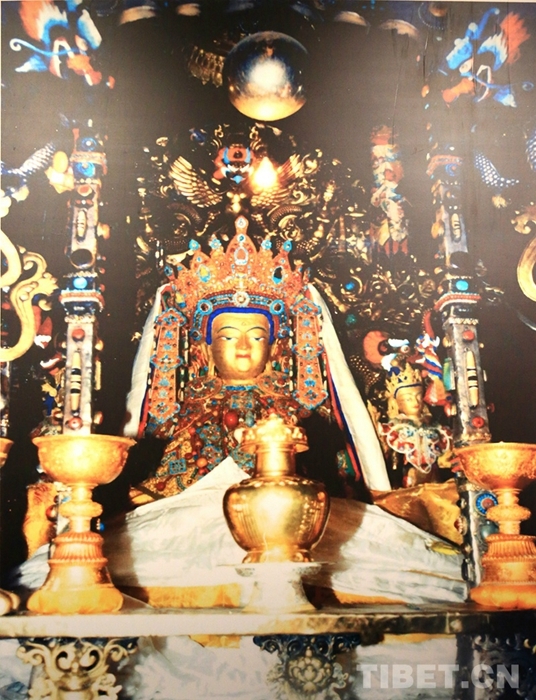 Living Buddhas usually belonged to the middle or upper class of monasteries and some of them were sect leaders. They played key roles in Tibet's politics and religion and were important forces used by the central government in governing Tibet. Emperor Kublai Khan of the Yuan Dynasty honored Phags-pa, head of the Sa-skya-pa Sect, as "Imperial Tutor" and authorized him to take charge of the nation's Buddhist affairs. 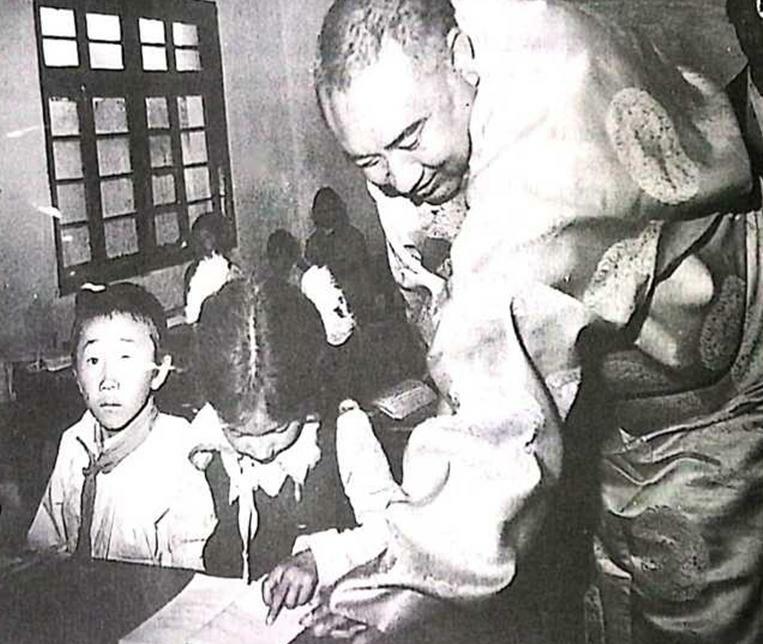 Considering the large number of religious sects in Tibet, the Ming Court (1368-1644) adopted the principle of "conferring honorific titles upon many leaders of religious sects and having them participate in the affairs of the Tibetan government based on historical convention". For example, the Ming Court conferred the honorific titles, such as the well-known "Three Great Princes of Dharma", the Great Treasure Prince of Dharma, the Great Vehicle Prince of Dharma and the Great Mercy Prince of Dharma upon leaders of the bKav-brgyud-pa Sect, the Sa-skya-pa Sect and the dGe-lugs-pa Sect in Tibet. After taking power, the central government of the Qing Dynasty (1644-1911) enforced its governance of Tibet by supporting the dGe-lugs-pa Sect. 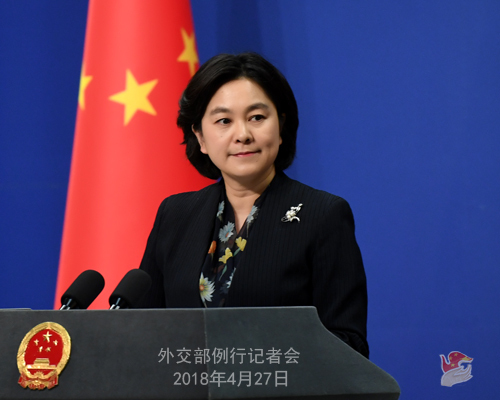 During that period, the Qing Government greatly enhanced the governing of Tibetan Buddhist Living Buddhas as well as affairs related to their reincarnation, and made governance standardized and systemized.